For many years now, I have wanted to make a cookbook of my recipes. I have a love of all books, but I have a special soft spot for cookbooks. I could probably spend an entire afternoon in just that section of any bookstore. I have had many false starts at creating my own, which usually ends upon getting a print bid. Back in the 90s, I printed up my favorite recipes on parchment style paper, laminated them, put them on a key ring and handed them out as Christmas presents (seems silly now, but at the time I felt like I was doing something fancy). 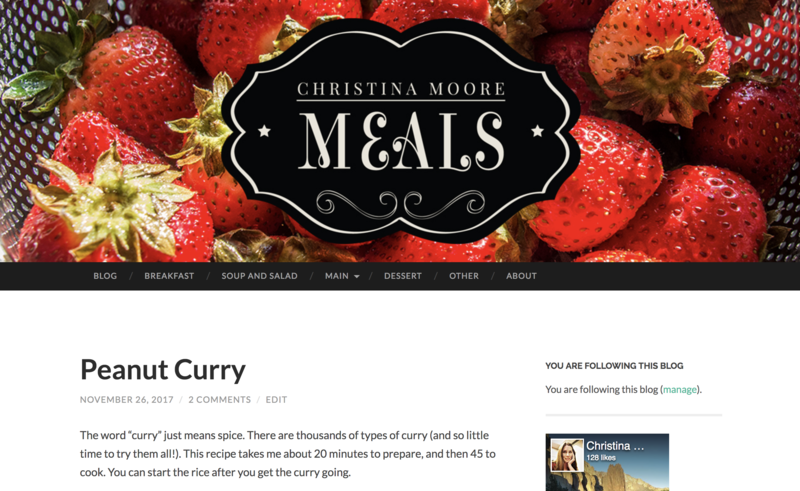 8 years ago, I was super into Paleo, and started a blog: cmooremeals.wordpress.com. I never really took it very far. Paleo was a new thing at the time, and I got a lot of traffic and followers, but I lost interest in Paleo, and ended up ignoring my site. Meanwhile, I’ve been typing up my recipes, and taking high quality photos of my recipes. I had previously intended to design the book, and bite the bullet of the printing cost. Instead, I’ve made this website, which everyone can access, and is of little expense for me to build. I hope you enjoy visiting it as much as I’ve enjoyed making it.